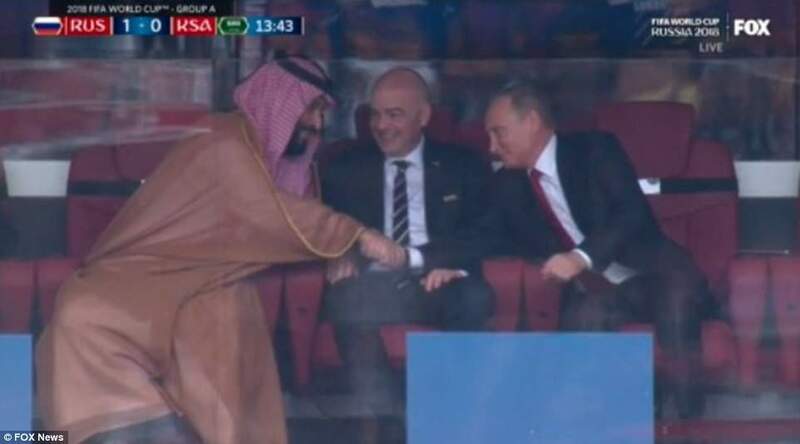 The Saudi Crown Prince, Mohammed bin Salman flew into Moscow for the Russia-Saudi opening match and was hosted by the Russian President Vladimir Putin in the VIP section of the Luzhniki Stadium in Moscow. 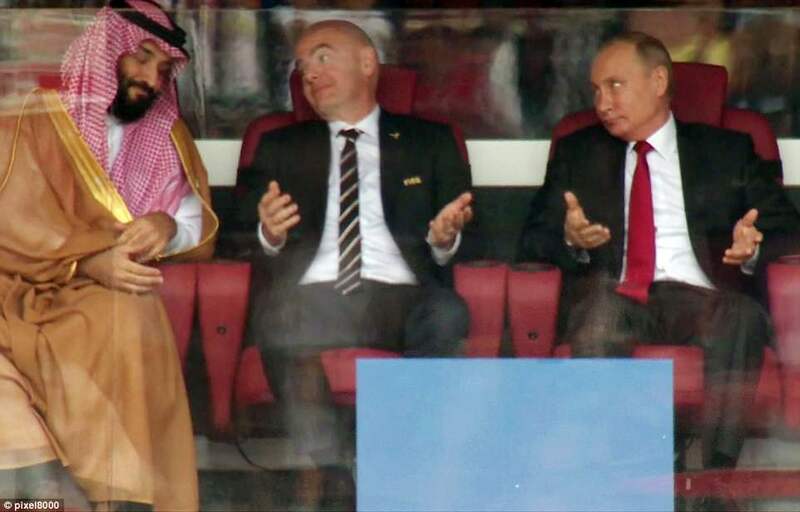 The Saudi Prince looked less than happy as his side received a drubbing at the hands of the Russians. 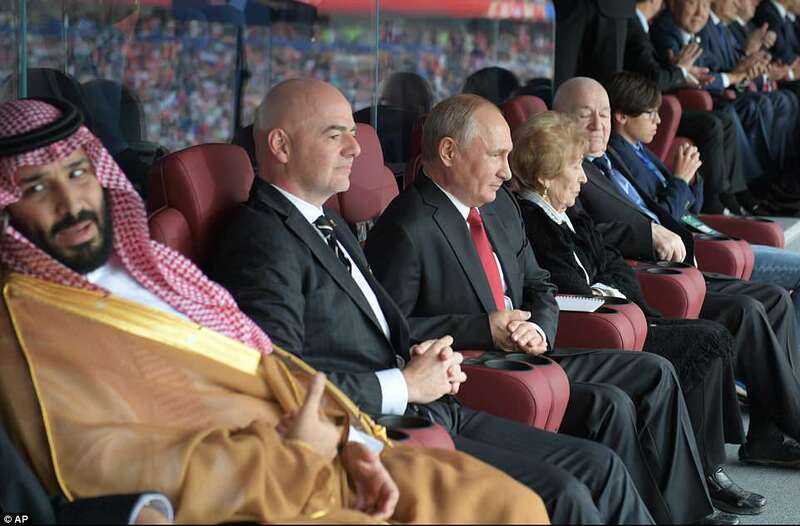 Both FIFA President Gianni Infantino and Vladimir Putin shrugged their shoulders after the first goal. The match ended in 5-0 in favour of Russia. Russia scores opening goal of 2018 #WorldCup! Ends it by spelling S-A-U-D-I!! #ArabiaSaudita.